We want to highlight two ZipBooks features that can help streamline your business recordkeeping and reporting. 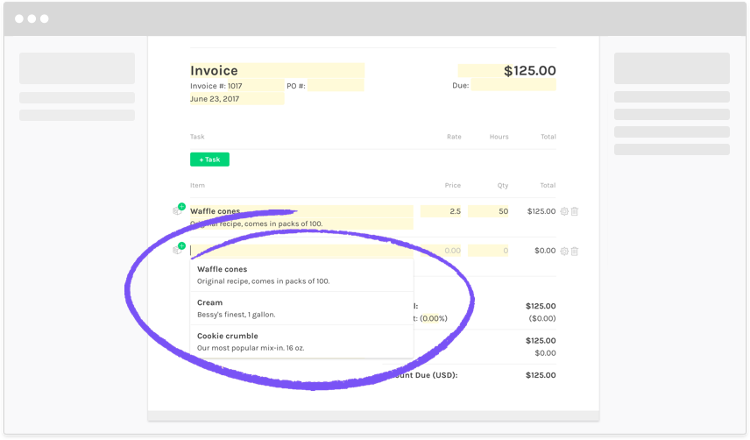 When you create invoices, you might use the same line items repeatedly. Entering all the info over and over again can be majorly monotonous and time-consuming. 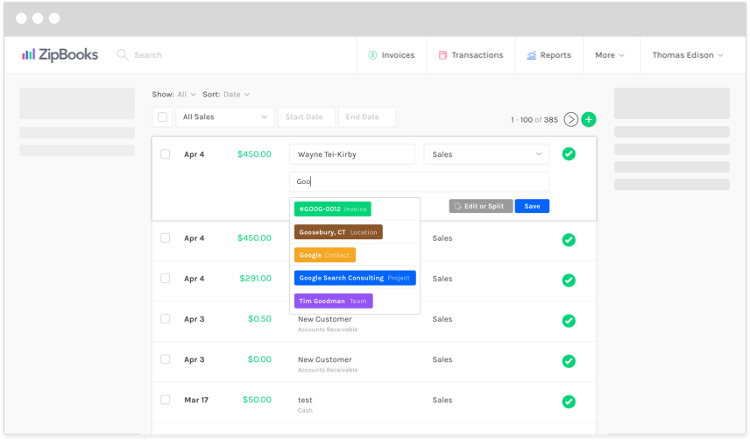 Add a new item or task to an invoice and save it right from the invoice, without navigating to the Items screen. Skip the hassle by using Saved Items in ZipBooks. Create items with details including description, price, and rate, so they’re set up and ready to go when you need them. It’s especially convenient for storing inventory specifics, and avoid looking up product numbers and descriptions before adding them to your invoice. We hope that you can use this feature to save a few minutes of your valuable time, every time. Saved Items is included with the Smarter Plan. Tagging lets you label transactions of a certain classification so that you can easily find and group them together later. Maybe you have two retail locations that you want to keep tabs on to make sure each one is profitable. Tag transactions that pertain to a location, and then create a report for that tag to see all the details. Tag by anything from vendor and customer, to product lines and wholesale channels. There’s no limit on the number of tags you create! Identify areas that need tightening up, compare expenses, and make decisions based on concrete numbers rather than using your best guess. Tagging is included with the Sophisticated Plan. Signing off for now, so we’ll catch you next time!